Google is in hot pursuit of the virtually unlimited local business advertising market. Of course, there has always been Google Adwords available for local business owners. And then came along Google Places, which is free advertising platform where local business owners can “claim” their local business and have it appear on Google Maps search results on both desktops and mobile phones. Google Boost allows business owners to easily create online search ads from directly within their Google Places account. No ongoing management is needed after the initial set up, and this beta is currently available to select local businesses in San Francisco, Houston and Chicago. 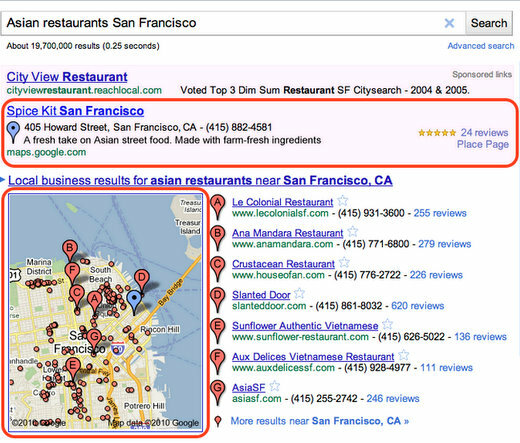 Unlike Google Places, Boost is a “pay per click” advertising platform, just like Google Adwords. However, Boost allows for a deeper integration of your Google Places page into the Google Maps display. And this is especially relevant for mobile searches, which are growing exponentially as a percentage of total searches conducted by users.